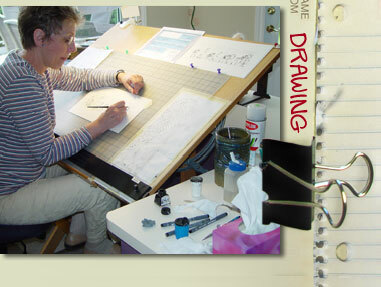 Now that the script is finalized, Lynn begins the artwork. Each strip is loosely penciled for character and dialogue positioning. Details slowly begin to emerge. It's fascinating to see the artwork begin to tell the story through exaggerated expression and body language.